Will London 2012 be 'The Green Olympics'? Will London 2012 be ‘The Green Olympics’? The Winter Olympics are over and amongst the medals and trouncing the US at hockey, Vancouver was praised for hosting the “greenest Olympics ever” with LEED certified buildings, the use of recaptured gas and the construction of a hydrogen highway. However, London looks set to raise the bar even higher with plans to blow Vancouver’s achievements out of the water in 2012. The London Olympic Authority have stated that they are aiming to make London 2012 the first sustainable Olympic Games, setting a precedent for future events. 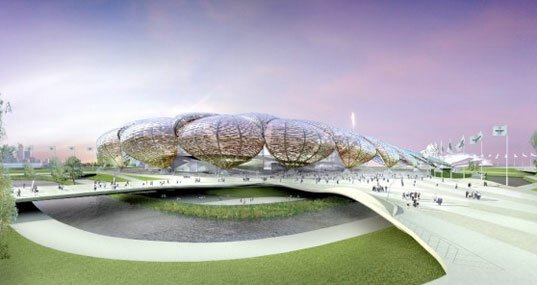 In order to make London 2012 the greenest Olympics yet, each building and stadium is being constructed to meet specific targets. Rainwater, for example, has been collected in order to reduce the amount of potable water used in the buildings. The construction firms have a water reduction target of 40 percent, but their CO2 target is even higher. Through a whole host of new innovations, the Olympic Authority is aiming to cut the entire project’s carbon footprint by 50 percent. The aggregate industry has stated that they aim to source 25 percent of their materials through recycling, while cement manufacturers have said they’re looking at ‘greener’ ways to fire their plants. Even 90 percent of demolition materials used are said to be recycled. Everything about the project is designed to champion low-waste, low carbon emissions, and green transportation. Timber used in the construction of venues is from fully traceable legal and sustainable sources, public transport will be promoted as the best way to get around, and all energy generated will be renewable. As you’d expect, this desire to be cutting-edge has cost the capital. The initial budget of the Games was $3.5 billion, but that has now risen to $13.94 billion. Of course, the drive and innovation is admirable — the only question is will it be finished on time? One only has to cast their minds back to the Millennium Dome and the Wembley Stadium refurbishment to know how London projects can go disastrously over-budget and over-schedule. To find out more about the London 2012 Olympics, go to the Offical London 2012 website. Great article - really interesting point of view. My website looks into the Olympic them, particuarly the issues surrounding hosting it. Please visit www.hostingtheolympics.webs.com for articles, photos, videos and a forum all surrounding the Olympic topic. It's well worth a visit! 13 millions could feed the hunger around the world. "The only question is will it be finished in time?"..... another bogus comment about possible delays to London 2012. London is not Athens or Delhi and the Olympic facilities although costing way more than they should will be on-time and hopefully impressive and green, The Olympic budget for many reasons (including political) was estimated far too low. But the UK has a pretty decent track record regards large construction projects on time (think about the tunneling for Eurostar...) And the Olympic association have no concerns regards the Olympics being ready well in time (unlike most recent games including Sydney) The Dome was over budget but on-time.....and the Footbal Association(!) was in charge of re-building Wembley stadium which was an over budget and delayed project. The Winter Olympics are over and amongst the medals and trouncing the US at hockey, Vancouver was praised for hosting the "greenest Olympics ever" with LEED certified buildings, the use of recaptured gas and the construction of a hydrogen highway. However, London looks set to raise the bar even higher with plans to blow Vancouver's achievements out of the water in 2012. The London Olympic Authority have stated that they are aiming to make London 2012 the first sustainable Olympic Games, setting a precedent for future events.